To celebrate hitting 600 Bloglovin followers (wowzers thank you! ), 200,000 page views and almost 300 GFC followers I am hosting a giveaway! 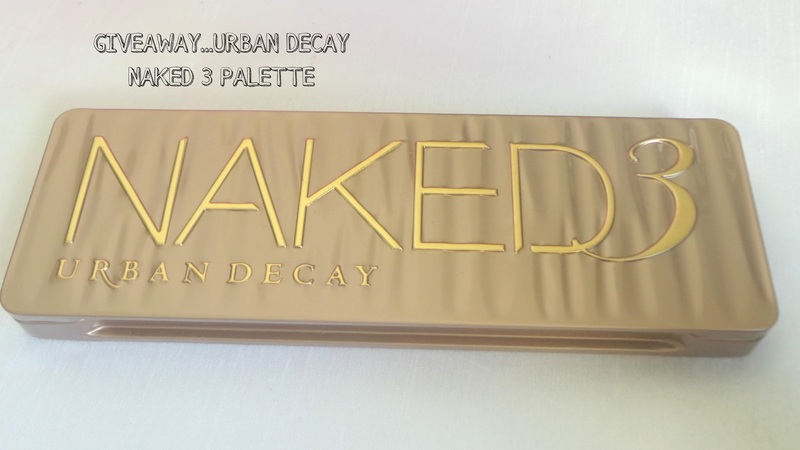 You can win an Urban Decay Naked 3 palette in all of it's rose toned glory! For a sneaky peek, here is my review of the palette plus swatches here. To enter just follow the instructions in the Rafflecopter widget below. This giveaway is open internationally and will run for a month. The winner will be contacted within 24 hours of the giveaway ending and must respond within 24 hours with their postal address. I think Burnout is my fav! Blackheart would have to be my favorite, I have never seen a shade quite like it. Congratulations on 600 followers! My faves are Buzz and Trick couldn't decide between them but I am a shimmer girl haha! My favourite shade would have to be Burnout! My favorite is probably Dust because I don't have any shades like that! Love the lay out of your blog by the way!! Liar is definitely my favourite but they are all gorgeous! The darker shades and especially blackheart are the best! They also work for smokey eyes! My favourite shade would be Nooner. There is something about it that I just love. Congrats! My fav would be burnout. I love Dust and Trick. My favorite shade is Trick! I do love the look of them all, but Buzz and Burnout look so gorgeous! But then again, so does Mugshot... pooh dear me, so many choices! Hehe. Amazing! I have the second palette and love it. Factory is my personal fave it's underrated! Urban Decay is my absolute fave!